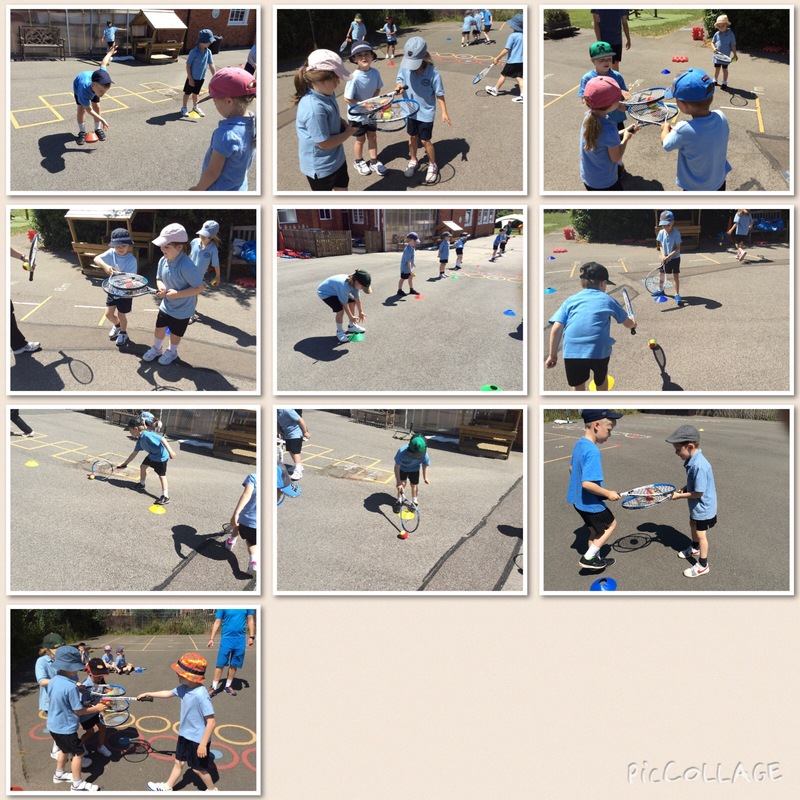 PE Class 1 having fun in their tennis lesson! < Wow! Our sunflowers are getting so tall!